4th Annual Car Show held in conjunction with Brownsville Appreciation Day, Brownsville, WA. This is a great venue for a car show and as you can see we get a fabulous variety of vehicles from across the collector car spectrum. 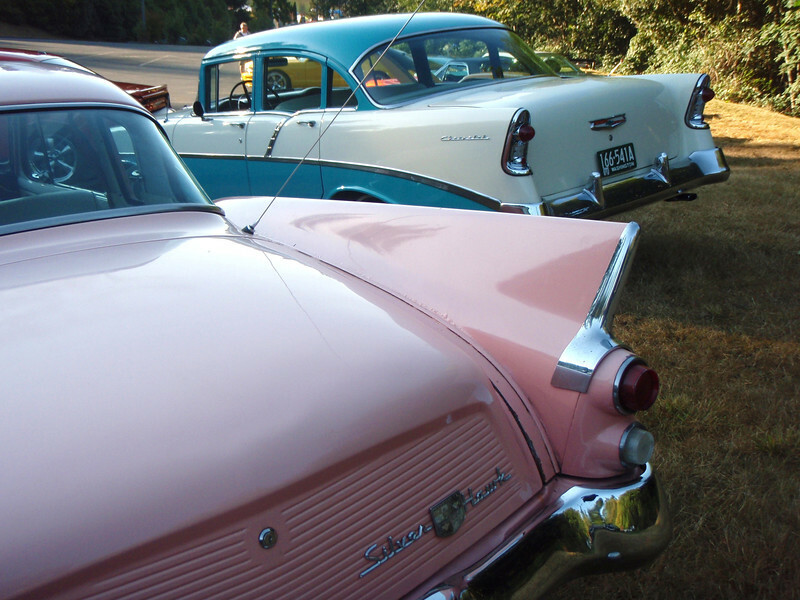 Thanks to members of Corvairs Northwest who run the show and to the club for loaning their car show equipment. There were eight Corvairs from CNW in attendance this year. Note the vintage (1917 I think) Baker Electric car and the Chevy Volt in pictures 2-5, a great juxtaposition if ever there was one. A total of 125 vehicles were there and we raised about $3000 to be donated Brownsville area schools! The last 11 pictures are details lifted from some of the previous photos, automotive design at its finest.